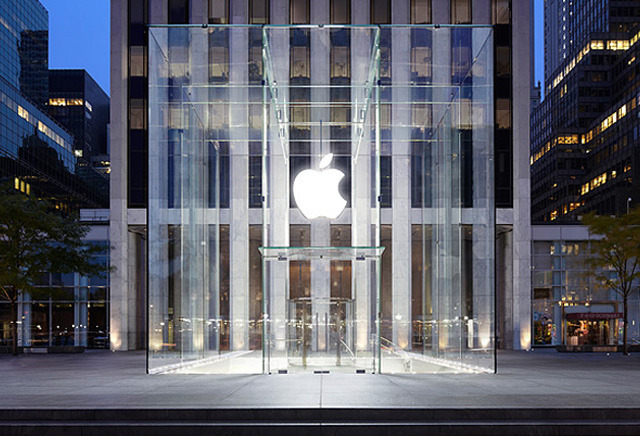 In the process of renovating its flagship Fifth Avenue store in New York City, Apple will have to dismantle the famous glass cube that sits over top, according to recently published building permits. Apple submitted a permit for "full removal of glass cubical structure at apple store entrance" on March 16, which was granted on April 17, MacRumors noted. The procedure will be handled by Waldorf Exteriors, and could start on May 9, costing up to $2 million. The permit fee alone is noted to have been over $20,800. Apple is planning to more than double the size of the store from approximately 32,000 square feet to 77,000, addressing long-standing concerns that the space is too small for its popularity. AppleInsider recently learned that part of the new space will be set aside for Beats 1 broadcasting. What Apple might do with the cube is uncertain. Since most of the Fifth Avenue outlet is underground, the removal could only be temporary. The cube's design might be altered, but if so, that would add millions more to Apple's renovation costs. The company has only dismantled the cube once before, tearing it down in 2011 in order to streamline it from 90 glass panes down to 15. The replacement cost some $6.7 million. During the current renovations, Apple is operating a temporary store out of the former FAO Schwarz nearby.